Synopsis: Sally Fields won an Oscar for Best Actress for her portrayal of a Southern textile worker in the 1970s. 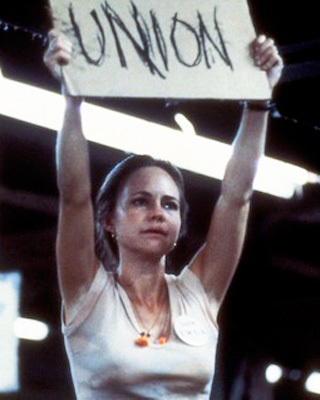 Faced with problems and challenges both personal and at work, Norma Rae proves receptive to the message of a union organizer seeking to start a drive at her plant. The film is based on the real story of Crystal Lee Sutton and the ACTWU’s drive to organize JP Stevens’ plants in the South in the 1970s.